iPhone is an amazing device for capturing high quality photos and viewing them on-the-go. However, it would be a good idea to manage these photos on your PC, so how can you access your iPhone photos on PC? You'll find answer here! 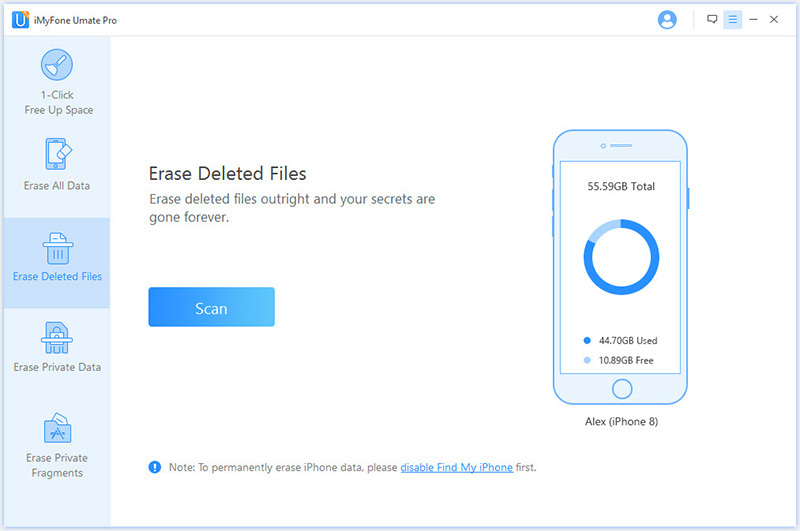 iMyFone Umate Pro is a third-party software that is designed specifically for iOS users with the primary purpose of helping them delete their iDevice data permanently so that no one can recover it. 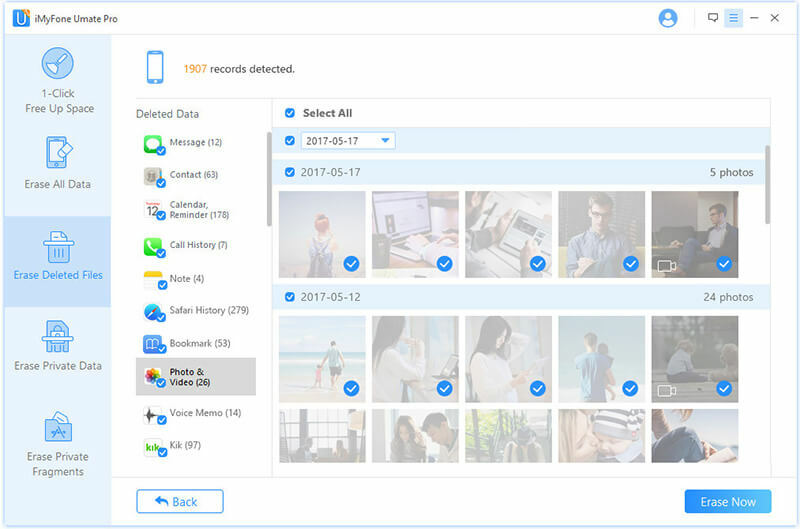 While secure and permanent data deletion is the primary function of this tool, you can also use it to manage your iPhone photos on Windows. Several features are dedicated to helping users effectively manage their photos using this tool. 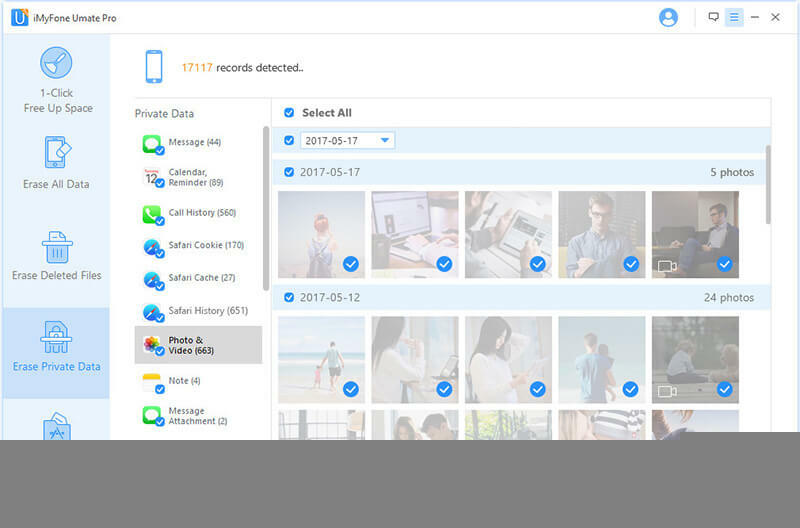 Umate Pro can compress your large size iPhone photos without compromising their quality and free up space on your device. You can easily export all your iPhone photos to your PC with this tool. Preview your photos before selecting them. You can also delete the photos individually. Permanently erase all the photos on your iDevice and make them 100% unrecoverable. It’s a good option when you are about to sell your iDevice. You can also erase already deleted photos to make sure that no one can recover them with any data recovery tool. Step 1: Install and launch Umate Pro on your computer. Then connect your iDevice to your PC using a compatible USB cable. Step 2: Choose 1-Click Free Up Space tab on the software. Then click the Photos button. Step 3: After the scan is finished, you will see details about how much space can be saved with photos. Click on Backup & Compress button, it will export your photos to computer and then compress photos on your iPhone. Choose Export & Delete to export photos to computer and delete them from your iPhone. Step 1: Choose Erase Deleted Files mode and then click on Scan button. Step 2: After the scan process, it will show all your deleted files including Contact, Messages, Photos, Videos, Call History, Safari History etc. Step 3: You can preview all of these files before permanently erase them. Then check Photos & Videos to preview your deleted photos so that you can delete them selectively. You can also use Windows Explorer on your Windows (10/8/7) and utilize its built-in features to access your iPhone photos. First, install iTunes on your computer to resolve any compatibility issues. Connect your iPhone to your Windows PC. Now open Windows Explorer and click on This PC. You will see your iPhone as one of the connected devices. 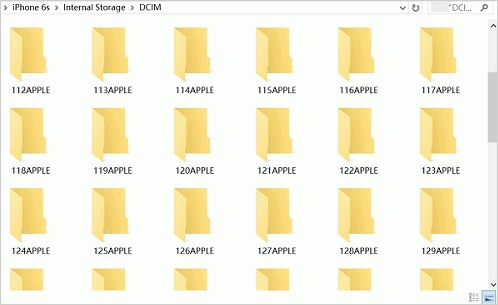 Double-click on it and navigate to the DCIM folder. Select all the photos available in that folder and use right click to Copy them. Now navigate to your desired folder on your computer and right click and select Paste. Your selected photos will be transferred to your PC. 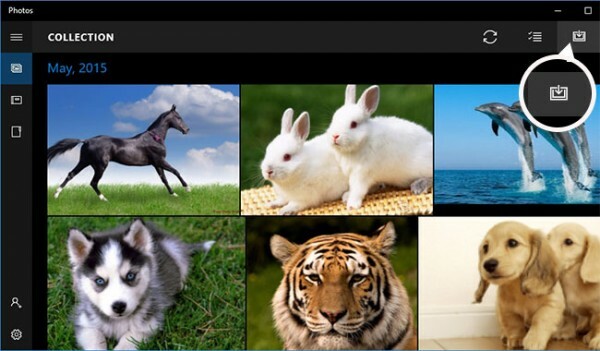 Microsoft Photos is a built-in Windows 10 software. 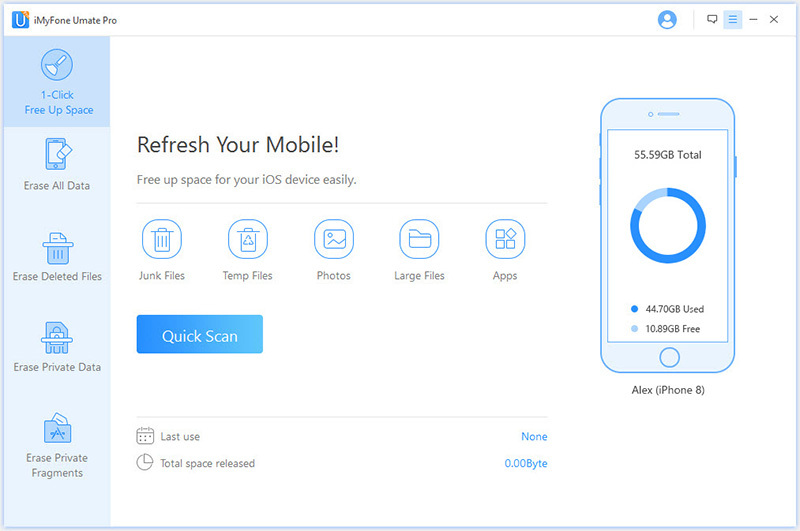 You can use it to access your iPhone photos and transfer them to your PC pretty conveniently. Install iTunes to make sure that there are no compatibility issues and your iPhone gets detected by your Windows PC. Plug in your iPhone via USB cable to your PC. Launch Microsoft Photos app on your computer. Now click on Import option and select your iPhone photos you wish to transfer. Click on Continue to start the photos transfer process. 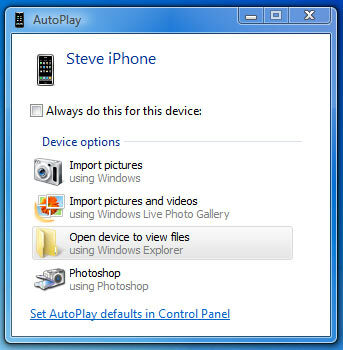 AutoPlay is one of the features of Windows 7,8,10 that offers the convenience to access useful options quickly whenever you connect a storage device to your computer. You can use it to access your iPhone photos and then transfer them to your desired folder on your computer. First, make sure you have iTunes installed on your computer so that your iPhone gets detected without any issues. Connect your iPhone to your Windows PC using a compatible USB cable. If a notification prompts asking you to Trust your connected device, do it. Once you do that, the AutoPlay window will appear. Now click on Import Pictures and Videos option from AutoPlay window and then navigate to the DCIM folder. There, you will see subfolders and your iPhone photos within them. Copy them via right-click to copy feature of Windows and then Paste them in your desired folder on your computer’s hard drive. Your iPhone photos will start transferring to your PC.